Is the battle royale genre becoming tiresome yet? Maybe. There sure are a lot of games out there that take on this last man standing stipulation, all the while putting their own spin on it to increase the appeal. It’s worked for some. The likes of PlayerUnknown’s Battlegrounds, Call of Duty: Black Ops 4’s Blackout mode and the ever popular Fortnite each put their own spin on the genre to make it their own. 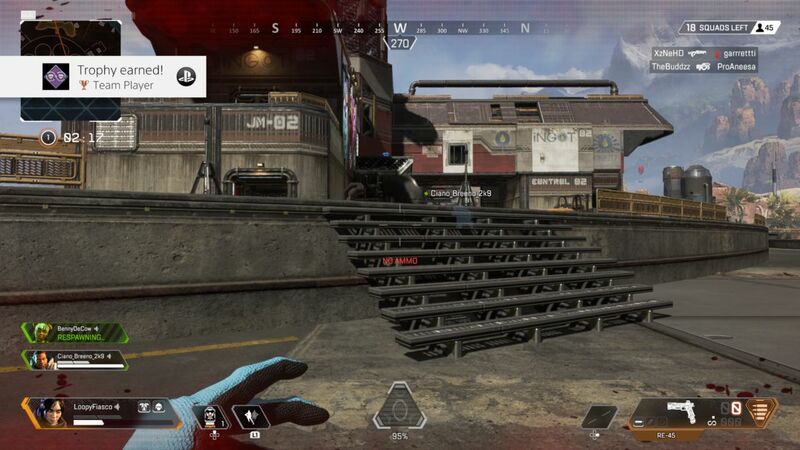 But last week Respawn Entertainment, better known for creating the criminally underappreciated Titanfall games, burst on the battle royale market with their surprise release of Apex Legends, which may just be the new game to earn the number one pedestal of battle royale games. Apex Legends is a team-based battle royale experience. 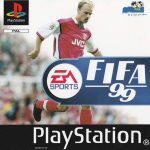 Although you can indeed go at it alone, it’s not recommended as the entire mechanics of the game are focused purely on cooperation and teamwork, starting at the legend selection. Your team of three take turns to select one of the available six legend characters, each with their own passive ability, tactical ability that can be used by pressing the L1 or left bumper button and an ultimate ability that is activated by pressing L1 and R1 or both bumper buttons to make them unique to each other. Bangalore is a soldier character who sprints faster when under fire, and her tactical ability is a smoke launcher that can aid her team to evade or set up traps. Her ultimate is Rolling Thunder, an artillery strike that slowly creeps across the landscape. One of the more unorthodox and more interesting characters is Bloodhound, a witch doctor type character who resembles Scarecrow from the Batman universe. His passive ability can see any tracks left behind by other players, similar to the Tracker perk in Call of Duty, his tactical ability scans the area in front of him revealing enemy positions, traps and any items and his ultimate ability, Beast of the Hunt, enhances his movement speed and makes enemy tracks and placements more prominent. Then there is my favorite legend, Wraith, she’s a complete badass and a blast to play as. This creepy femme fatale can warn you of nearby threats, disappear briefly and create portals for you and your team to use. 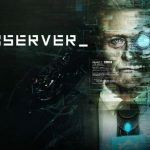 The entire legend system and abilities work exactly the same way as those found in Overwatch, with abilities having a wait period before becoming available to use again. 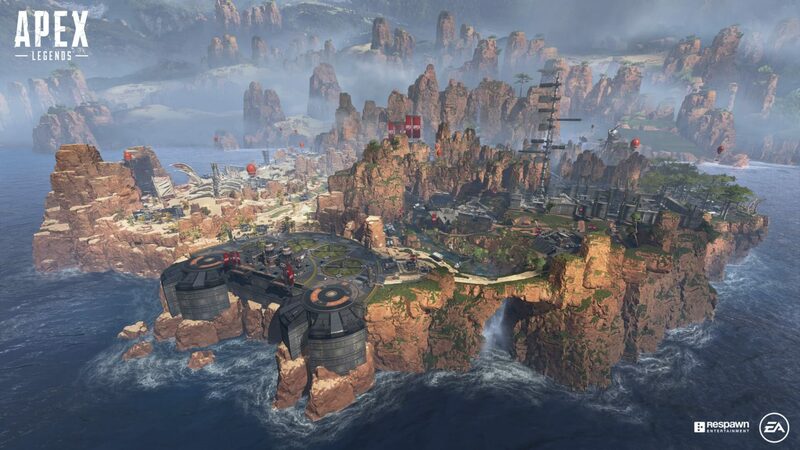 Being a battle royale game, the map is important to learn and become accustomed to, and Apex Legends has one of the best maps to date: a multilayered utopia of cliffs and mountains, small villages and cliffside bases, as well as flying ships and structures to navigate. It helps that Respawn have incorporated the fast and fluid movement system seen in their Titanfall games, albeit without the wall running. Each character can easily clamber up high walls and utilize the many ziplines spread around the map. 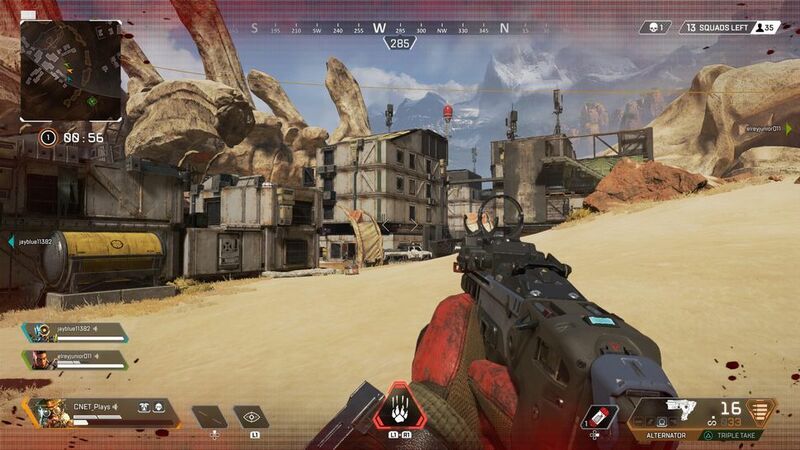 Apex Legends’ map feels a lot more vertical than any other game. Gaining height seems to be the best way forward, and doing so is an absolute blast. 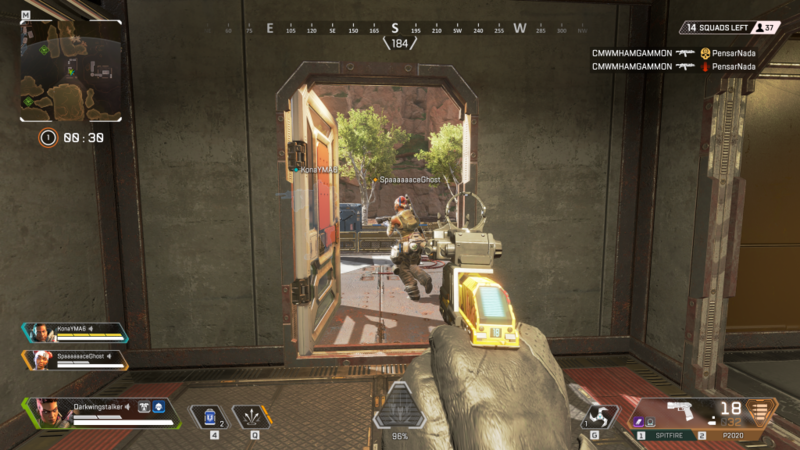 Teamwork is essential to succeed in Apex Legends, and Respawn have created a revolutionary system that make even teaming up with strangers without mics an absolute joy. The brand-new Ping system is a fantastic feature that needs to be used by all games going forward. Using the R1 or right bumper button, you can highlight anything you’re looking at. See an enemy? 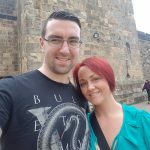 Ping them so your team are aware of their presence and location. See a high-level piece of armor? Ping it for your team to pick it up, if they choose. The Ping system can also be used to suggest a destination from the starting dropship or even when on the ground, your team can point towards your marker and use the Ping button to acknowledge your suggestion or claim dibs on an item you’ve highlighted. This system is amazing! It really feels like you’re part of a team when using this, and it can’t be abused by toxic players, which is ideal. Another way Apex Legends revolutionizes the genre is death. Like other games, getting defeated in battle puts you in a knocked down state, and in this state you can crawl to safety, and if you’ve picked up a shield, you can defend yourself while doing so. Get shot up whilst knocked down though, and you will die, allowing you to spectate your team going forward. So how does Apex Legends revolutionize the genre? Well, after death, you leave behind a token that can be picked up by your surviving team members and used with the respawn points scattered around the map, which brings your downed team members back to life. The catch is that you can only use the respawn points once. Here is Apex Legends’ main selling point though, it’s completely free. 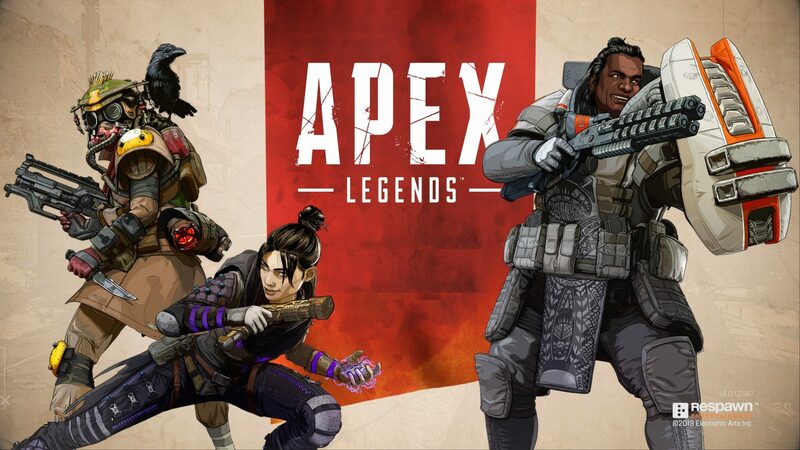 Yeah, it uses the free-to-play label, but the only thing you can pay real money for are cosmetic items or to buy the remaining two legend characters, all of which can also be earned in-game; therefore, Apex Legends is a full-fledged free game. Sure, it only has one map and one game mode, but I can see Respawn building on this in the near future for sure. Apex Legends has burst into the busy battle royale scene and, by putting in a few revolutionary systems, has quickly become one of the best experiences to be had in the genre.